This cottage kitchen is both inviting and cozy with its glass-windowed cabinets with white trim and the touch of floral wallpaper. 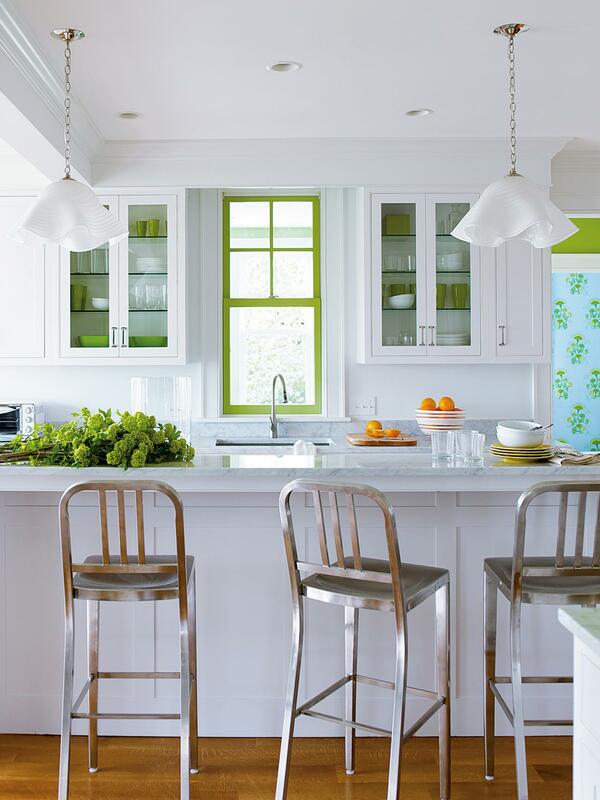 The green trim around the conveniently placed kitchen window and matching decor, dishes, and extra pops of color add a touch of contemporary to an otherwise simple kitchen. Also notice the hanging lights with white shades that help to modernize the look. The stainless steel bar stools stand out while somehow blending in effortlessly adding a perfect juxtaposition to the kitchen. This kitchen proves that different styles combined perfectly can make an outstanding statement and that adding touches of color to kitchens with white cabinets is an excellent idea. For some people, walking into their kitchen is relaxing. The thought of preparing a delicious meal while sipping on wine and listening to good music is almost therapeutic. Add these components into an elegantly beautiful kitchen and why would you ever want to eat out? 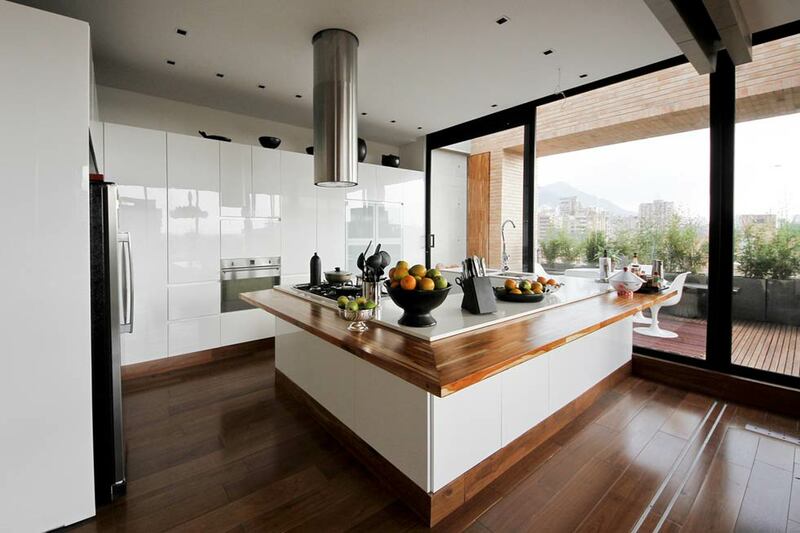 This stained wood kitchen with sleek cabinets is both beautiful and functional. The high cabinets make it look more spacious than it is, making it the perfect location for a night-in of cooking. Where wooden cabinets would be over-kill in this hardwood beauty, the kitchen storage cabinets combine expertly to make this kitchen a near perfect environment for cooking. This country kitchen is any home maker’s dream. With its unique combination of the red “barn” style island and attractive cabinets with cute red handles, this cozy kitchen is aesthetically beautiful and inviting. You can almost smell the egg and bacon breakfast being cooked as the sun rises. 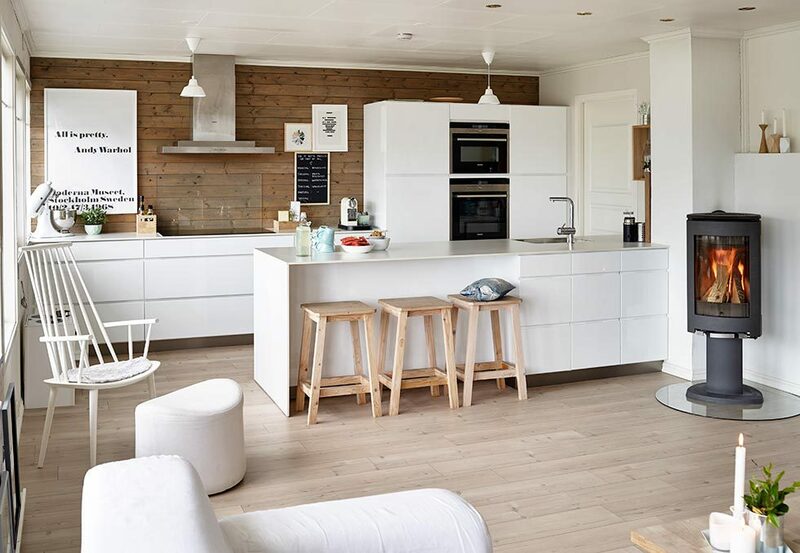 With its detailed designs and farm home theme perfectly nailed, this Santa Monica kitchen shows that white can be used in any style of home and kitchen and still look good. Where darker cabinets would clash with the green and blue tiled floors, the cabinets allow the floor to blend delicately with the other colors in the kitchen. This kitchen not only provides an excellent atmosphere for cooking, but the beautiful wooden kitchen table invites you to sit and enjoy a delicious breakfast. 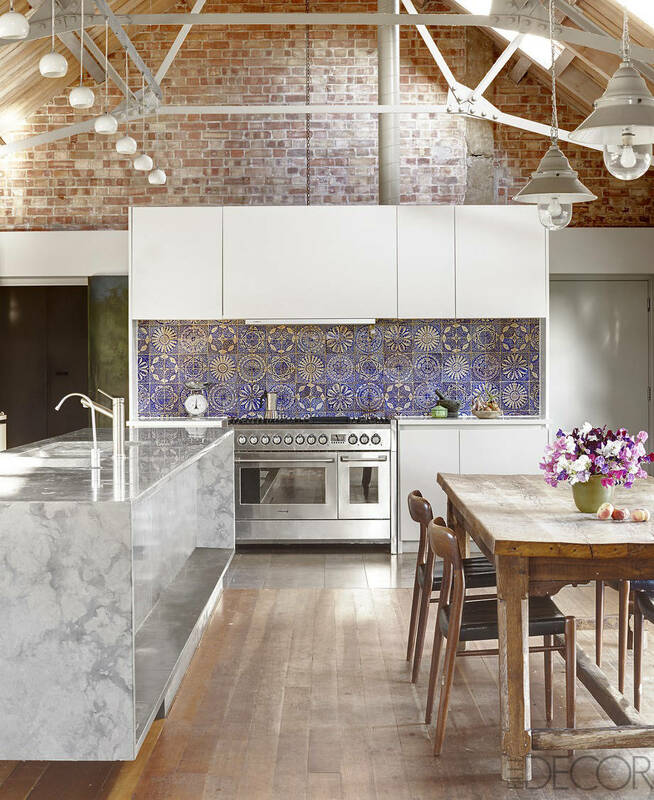 From the high ceiling with hanging lights to the intricate tiles behind the stove, everything about this kitchen is a statement to the designer’s handiwork. Kitchen design ideas vary, but this kitchen with its perfectly placed cabinets is one that deserves some type of award for originality and beauty. Who knew that marble, brick, white kitchen cabinets, and hardwood floors would combine so elegantly to make the ideal kitchen for any modern home? This sleek and squeaky clean kitchen makes you feel like any meal is possible. 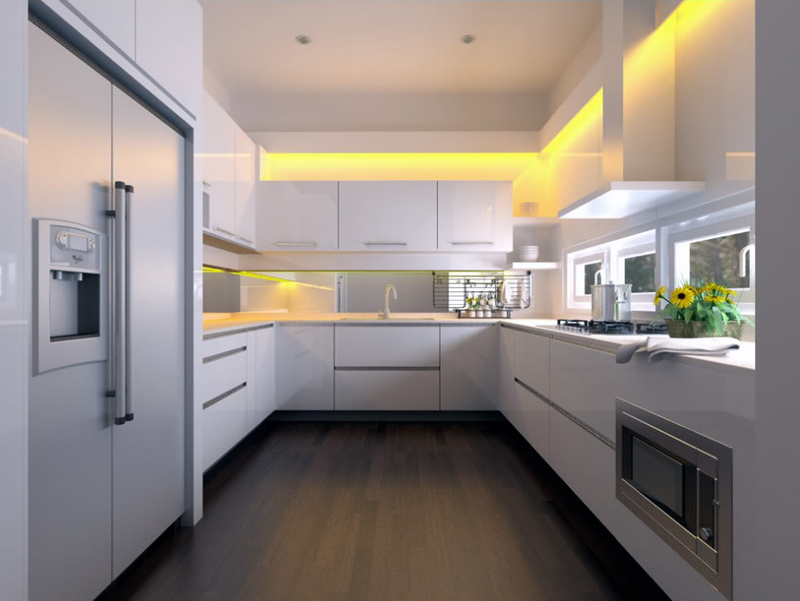 It’s ideally placed lights provide it with a futuristic feel as they play off the purely white cabinets. This is the perfect kitchen for anyone who likes minimalism and who wants a functional and clean space for their times of cooking. 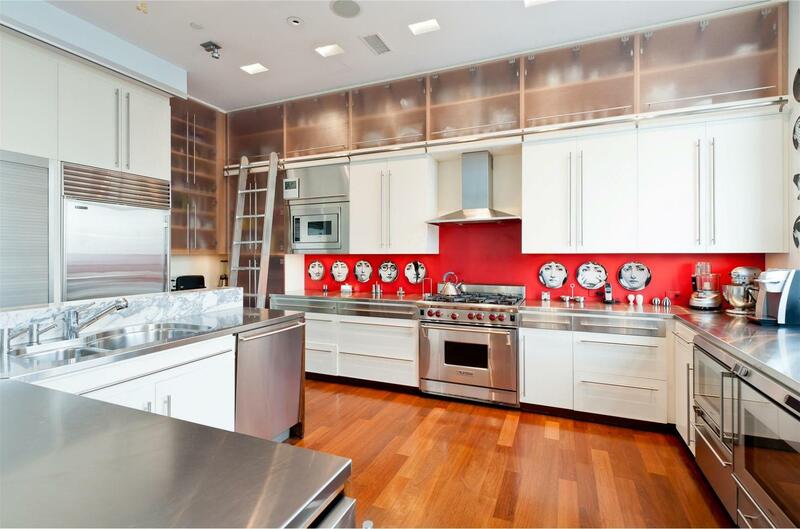 If you’re a no-fuss, “I get things done” type of person, this kitchen is made for you. This kitchen exudes elegance and provides any home owner with a classic look that will never go out of style, even in the future. White cabinets in this stylish and detailed kitchen help to provide a contrast to the primarily creamy and peach colors. This shows the beneficial touch that white can add to any home’s kitchen. This “Jane Austen” style kitchen is both cozy and elegant. The white trim bordering the ceiling with detail is another eye-catching design in this simple yet attractive kitchen. 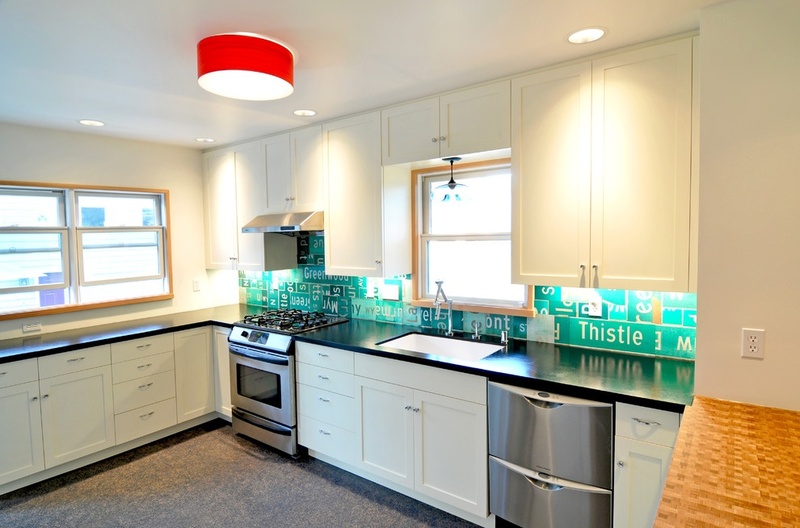 What really helps the kitchen to stand out is the artistic tile design which modernizes this classy look. 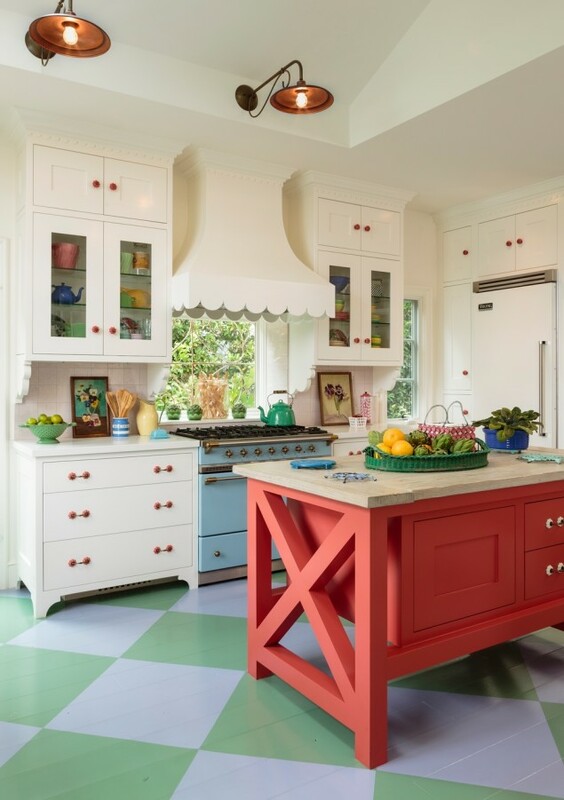 This retro kitchen could seem to have too much going on, but instead of a design idea gone wrong, the light cabinets make sure the look stays on point. This is the kind of kitchen were anything goes. Its youthful feel is perfect for any home that likes to keep things alive. While most kitchens don’t need a ladder to reach the dishes, this kitchen makes it look like it fits right in. Whether you like to cook exotic meals, host fun dinner parties, or simply stepping out of the box in your home’s interior and kitchen decoration, this bright kitchen with its equalizing cabinets will make sure you always stay the life of the dinner party, even if its just a dinner for one. One of the things that makes light cabinets so convenient is that no matter what color the walls are painted or what color your decorations are, the kitchen will never look cluttered or haphazardly decorated. The cabinets in this kitchen offset the painted wall and the teal colored floor in such a way that everything pulls together in a classy contemporary look. You can’t deny that white kitchen cabinets open up a space like no other color, which makes it one of the best home decoration trends for kitchens today. This kitchen is somewhat narrow, but the white storage cabinets give the illusion of a spacious place for a delightful time cooking and eating. 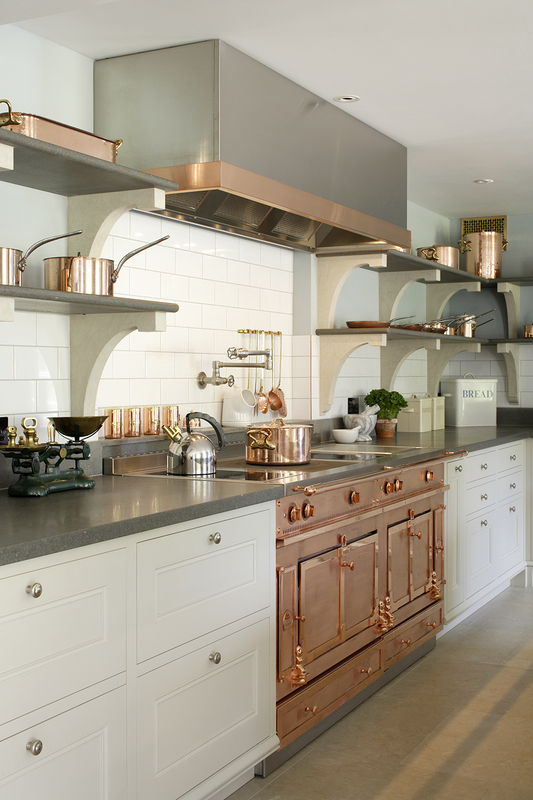 If you ever thought copper wasn’t what classy kitchens were made of, think again. This kitchen breaks preconceived ideas about what works in home kitchen decor and proves that light cabinets can make any material look elegant. From the copper rim around the exhaust fan to the oven doors, the surrounding cabinets provide the home with an effortlessly stylish look that is both inviting and unique. Kitchen ideas like this one are what keep white kitchen cabinets in style. 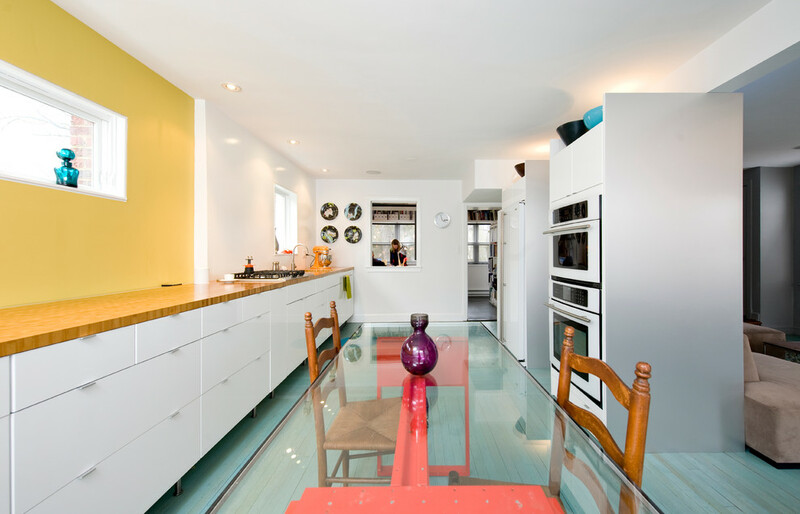 Where many people contest that bigger is better when it comes to kitchens, this classy kitchen proves that cooking can still be fun even in this mini-sized space. With its colorful detail above the sink, this kitchen uses color to combine expertly with white counter tops and walls to open up a small pace. This kitchen looks classy and clean and is an ideal style for a single’s home or an individual with minimalist tastes in decor. The artistic detail brings this small space to life. This gorgeous kitchen is what most home cooks would pay big money for. 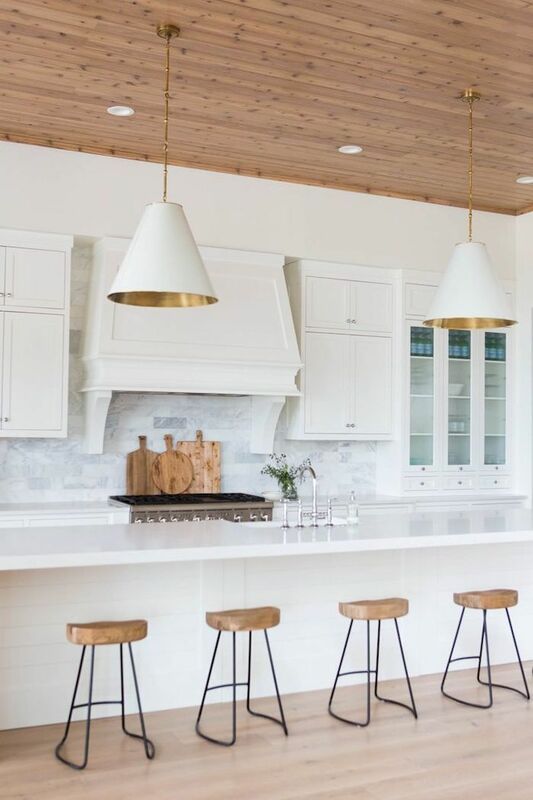 With beautifully matching wooden floors, ceiling, and stools in contrast with white counters and cabinets, this gorgeous kitchen provides a home owner with a classic kitchen that feels bright and that will remain timeless if you ever choose to sell your home. This kitchen provides any “home chef” with plenty of work space and lighting for an enjoyable cooking experience. White is what its all about in the kitchen fashion world and this kitchen is one great example of how to do a kitchen with white cabinets. Everything about this kitchen screams “Yes!” From the large windows and the white cabinets, bright and cheery is the first description that comes to mind. What really adds a delightful touch to this already gorgeous kitchen are the light colored curtains. 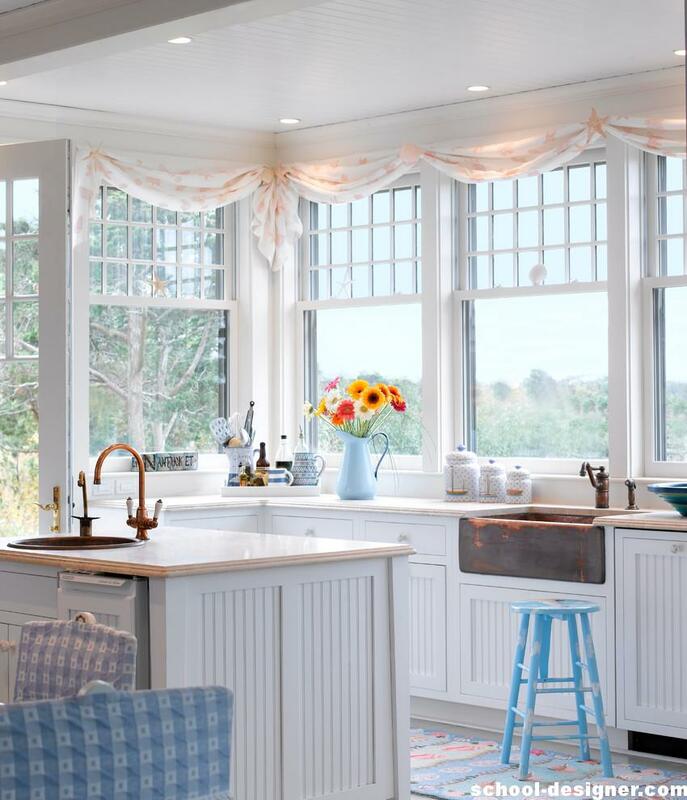 While a sky blue curtain could pull together with the blue stool in this kitchen, these delicately draped curtains add to the airy ambiance of the room. The abundance of light and the the pops of blue throughout the kitchen make this kitchen an attractive kitchen decor idea. 13. A White Home with Children? If you have children, you may be wondering how the latest trend of white in home decor would work with your little ones. The answer is that it most definitely can. This kitchen has white incorporated into it with easy to clean surfaces. 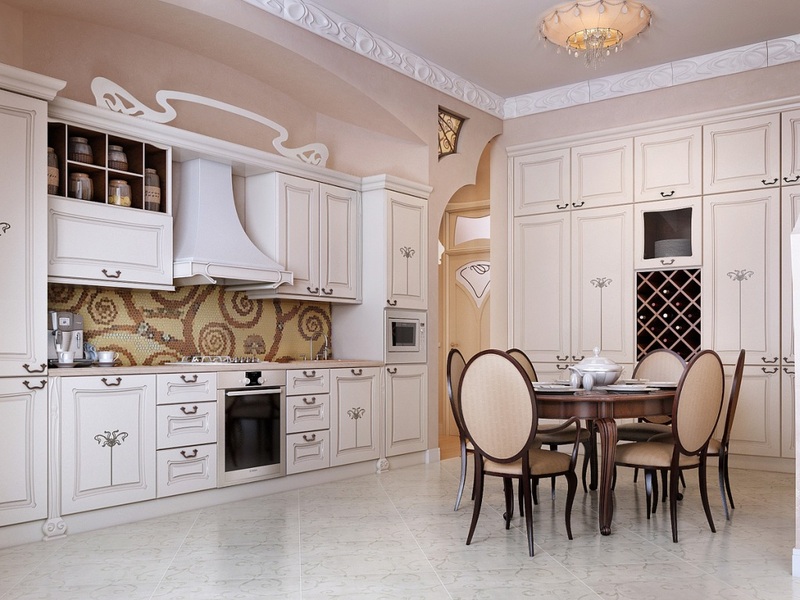 The key in having white decor or cabinets is the material used when it comes to installing it in a home with children. A detail in this kitchen that is both eye catching and unique is the Andy Warhol quote on the wall. It not only pulls together with the rest of the white in the kitchen, but adds style to the space. One of the best things about cabinets that are white or light cream is that you can add almost any type of tile or color and create a beautiful effect. The turquoise against the white with the red light shade adds life and playfulness to this industrial kitchen and makes it a much more inviting place to be. White colored cabinets allow more personality to come out in the kitchen as this kitchen proves. 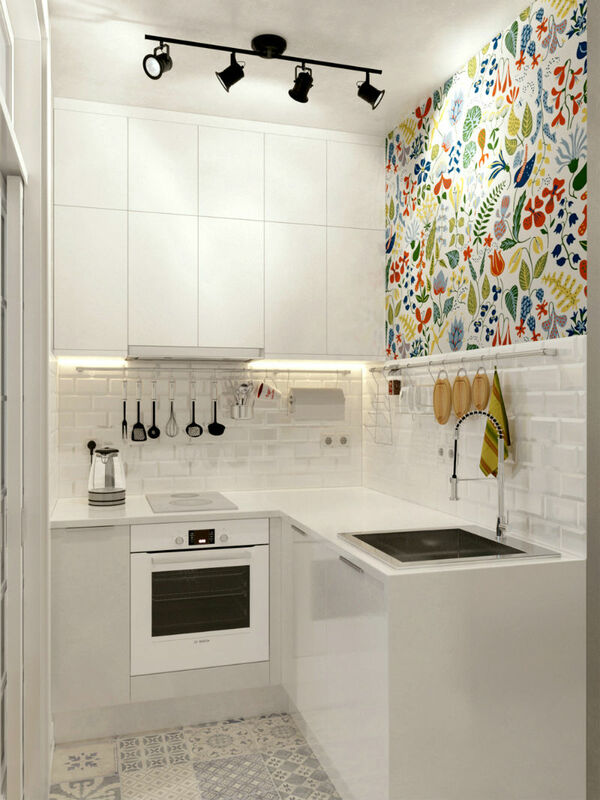 The metro stop tiles add a modern and unique touch to an otherwise plain kitchen. 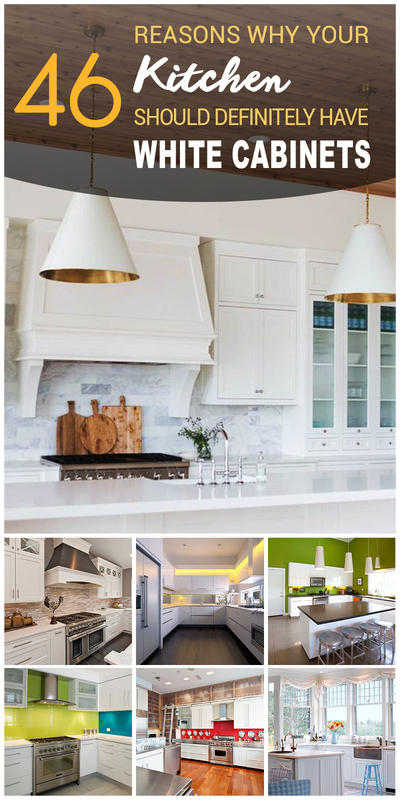 Kitchens with white installations are an excellent idea for anyone who wants to add extra detail and home decoration.